For those of you who do not know what “relevant coursework resume” is, it is basically classes that you have taken during your study at college. To be honest, a lot of people do not even think about putting this section. However, it is a great way to beef up your resume especially when you do not have much of an experience in the field you are applying to. In case you do not want to waste your time on resume or pile of assignments, take advantage of a cheap coursework help of professional writers. There is a misconception that many courses in your resume will impress recruiters. You take classes to enrich your knowledge in a given field you are interested in. But listing too many unrelated courses in your resume is quite confusing rather than impressive. Tailor your resume to the field you want to work in, it will demonstrate that you are a focused person and you have a clear vision of future development. So, how to write and format relevant coursework resume? There are two ways to list your courses: a column format and a detailed format. Let us dive a bit deeper and give you a few clear examples. First of all, you can list your courses in columns which makes it easier to skim and read. If you took a wide range of courses, you could create multiple columns. At the top of each one list a skill or area of interest. Remember, when you list all of your professional associations, achievements, and training, list only the ones that are relevant to your job objective. For example, if you are applying as a cashier to McDonald's and you have taken communications class, guess what? You are dealing with the customers out there. That is pretty relevant. Let us imagine you are applying for a lab technician position. Below is the list of corresponding courses you might want to add to your resume using multiple columns. In the detailed format you can elaborate on the course and the particular skills you have gained. First, you should list the actual title of the course and the semester taken. And the corresponding bullets elaborate on the skills that you gained from the course that is relevant to the particular job you are applying for or the general field you are pursuing. You can also include major projects or research that you may have conducted. If possible, mention the results of your data if your work was published or if you present it at a conference. Let us look at the example. mastered the basic principles of sales promotions, public relations, publicity, personal selling, direct marketing, and event sponsorship. Emphasized creative writing for a variety of media including press releases, media kits, public service announcements, brochures, and newsletters. participated in a 24-credit hour course that combined the disciplines of Finance, Marketing, and Management to develop a business plan for a fictitious start-up business. Additional Courses: Buyer Behavior, Retail Marketing, and Interpersonal Communication. Should You Include College Coursework Even If You Do Not Have a Degree? The answer is yes! All of your education should be showcased. Why? Because it shows initiative, ambition, a desire to be better at what you are doing and to further your career. Remember, experience speaks louder than education. You can see many job seekers without any degree who makes around $150,000 a year and have only a high school diploma as their educational document. The only time you should not include coursework that did not lead to a degree is that there is no room on your resume because it is so full of good stuff. If you have already got two pages of high-impact benefit-oriented resume. But most of the time, you should include this information. 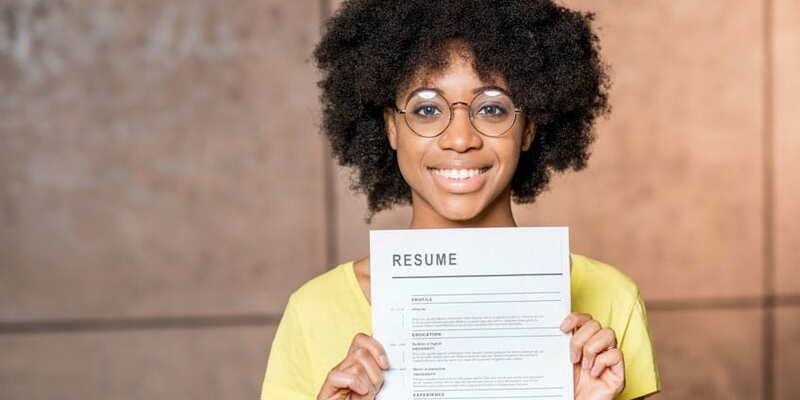 So, to make your resume look like a professional one and get the job of your dreams, add the section of “relevant coursework” and stand yourself out from the crowd. Rated 4.6 | 7 votes.